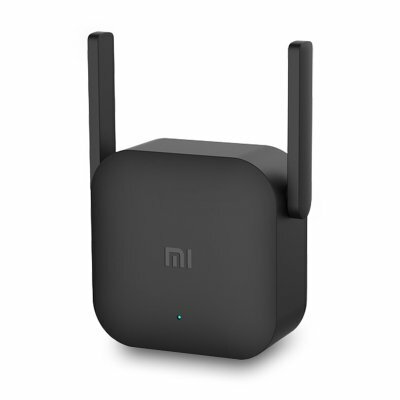 Successfully Added Xiaomi Pro 300M WiFi Amplifier - US PLUG 2 External Antennas, 300Mbps Data Transfer Rate, Supports 64 Devices, Plug And Play to your Shopping Cart. Extend your Wifi coverage to every corner of your home or office with the Xiaomi Pro 300M WiFi Amplifier. This powerful WiFi gadget supports a 300Mbps data transfer rate. Thanks to this, it treats you and all your guests or colleagues to an extremely fast internet connection anywhere in your property. By supporting up to 64 devices at once, this WiFi amplifier from Xiaomi is perfect to be used in small businesses. It features an easy to use plug and play design and is furthermore light in weight and very compact. This allows you to place it anywhere without taking up too much space. The Xiaomi Pro 300M WiFi Amplifier features two external antennas that efficiently extend your internet connection. No longer will you have to worry about dead-zones or other issues while trying to access the internet from a remote corner of your home or office. With its stable signal transmission, it offers great usage without any lag or interruptions. The 2.4g wireless WiFi amplifier automatically upgrades its firmware for increased usability. It furthermore features a power saving design that helps you to cut on your electricity bills. With the Xiaomi Pro 300M WiFi Amplifier at your side, you’ll never experience a slow internet connection again. The Xiaomi Pro 300M WiFi Amplifier comes with a 12 months warranty, brought to you by the leader in electronic devices as well as wholesale WiFi gadgets..